I am a huge fan of all of the guys in the fictional band, The Last Ones to Know! I have swooned excessively over Adam, Joel, Shawn, and Mike. They all are my favorites for different reasons. These guys are genuine heart throbs, and if you want a romantic, steamy, slow-burning love story, the Mayhem Series should be at the top of your TBR list! Ms. Shaw knows how to build up the sexual tension between her main characters to the point where you feel like you can't take it for one more second, but when they finally do fulfill their desires for one another, your heart feels like it's pounding right out of your chest, you see bright fireworks explode, hear music playing in the background, and can't wipe the cheesy grin off of your face. As a reader, this is the ultimate transcendent experience. It is when you feel one with the main character, and as if every moment that they experience, is happening to you simultaneously! 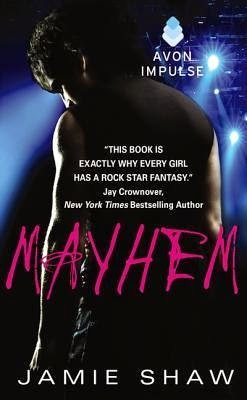 The Mayhem Series is my favorite rockstar series. Every time I think that this series couldn't possibly be as amazing as I remember, I pick up the next book, fall in love all over again and become obsessed with the story. 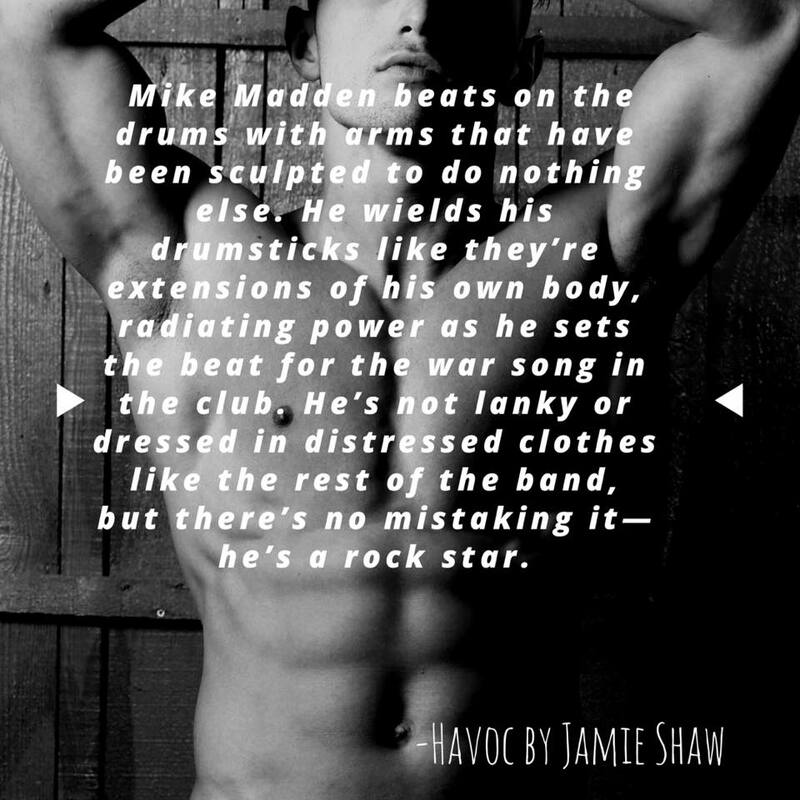 In Havoc, we get the drummer Mike Madden's love story. Mike is the proverbial good guy. He is a gentleman. 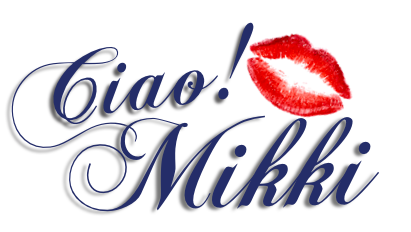 Mike is beyond thoughtful, attentive, caring, compassionate, loyal, and down to earth. He is always going out of his way for others, and pays attention to what people like, how they are feeling, and then continuously does sweet, small, considerate gestures. 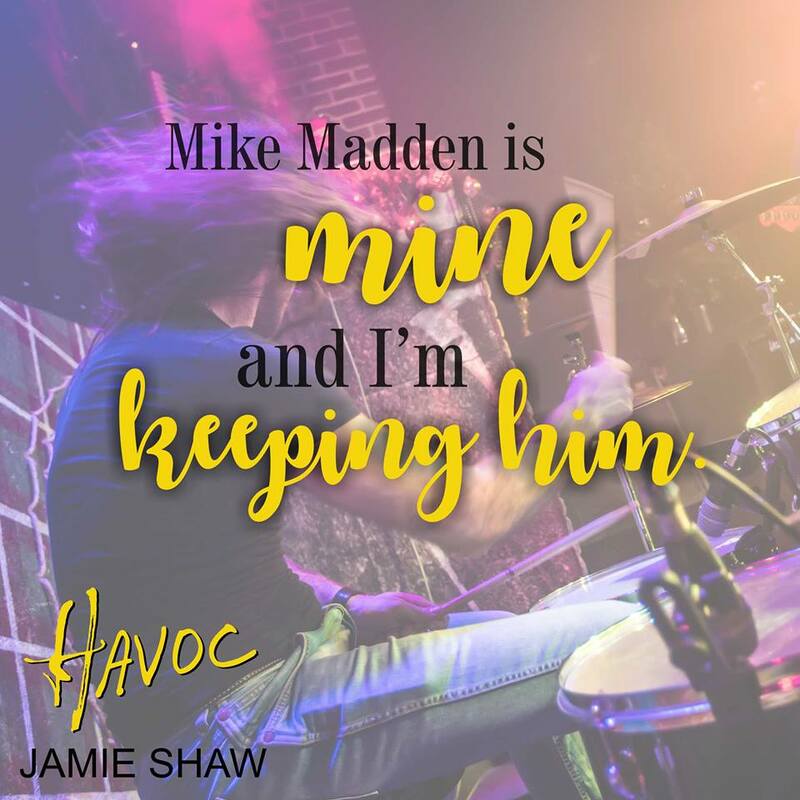 While originally Adam, Joel, and Shawn were okay messing around with groupies, and not wanting to settle down, Mike has never messed around and has wanted to find the right girl to love and settle down with. Unfortunately, he's been hung up on the memory of the high school ex-girlfriend that broke his heart; beautiful, spoiled, narcissistic and self-absorbed, Danica. Now that the Last Ones to Know have gotten a record deal and are becoming famous, Danica decides that she wants Mike back. Really, she would be good with any of the band members, but Adam, Joel, and Shawn can't stand her. Plus, they are all madly in love with their significant others; Rowan, Dee, and Kit. So Danica decides to move to Mike's town and brings along her sweet, selfless, soft spoken, poor, loving, easily pushed around cousin, Hailey. Danica's father is wealthy and offers to pay for both girls college tuition, school books, housing, living expenses, etc. This is a dream come true for Hailey, who is a hard worker and has always wanted to become a veterinarian. Hailey's parents could never afford to pay for her college, and even with scholarships and working full-time, she would not be able to attend. So while Danica bosses Hailey around and is verbally abusive, she takes it, because if she makes her cousin mad, she's sure her uncle will stop funding her education. Danica always gets what she wants and has her parents and everyone else wrapped around her little finger. Her good looks, fake tears, and superior acting skills have never let her down before. 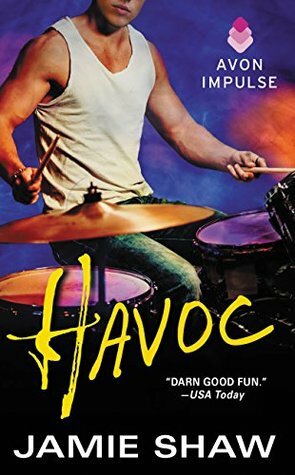 When Danica drags Hailey to club Mayhem to help her get Mike back, it isn't her scene. She can acknowledge that Mike is hot, but has no interest in any guy that would be interested in her horrible cousin. However, things change that night when Mike and Danica hook up, and after Danica falls asleep, spend several hours talking, laughing, playing video games and drinking a few beers. 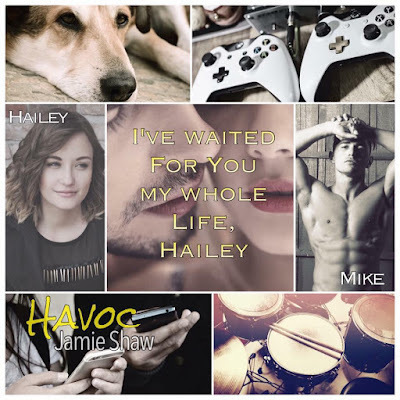 Pretty soon, Mike and Hailey's friendship begins to blossom and they become best of friends (without Danica becoming aware of just how close they've grown.) Danica's true colors begin to show, and before long, it's obvious that even Mike realizes she is not a good person. However, Hailey could never pursue a relationship with Mike, no matter how she feels about him. 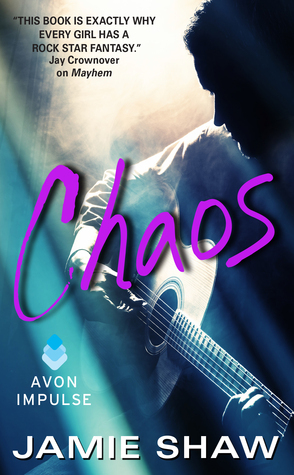 She would lose her dream of becoming a veterinarian and knows that it would be wrong to be with him after he was with Danica (even if her cousin treated him poorly, and just wanted him for his new rockstar status.) However, Can true love be denied? 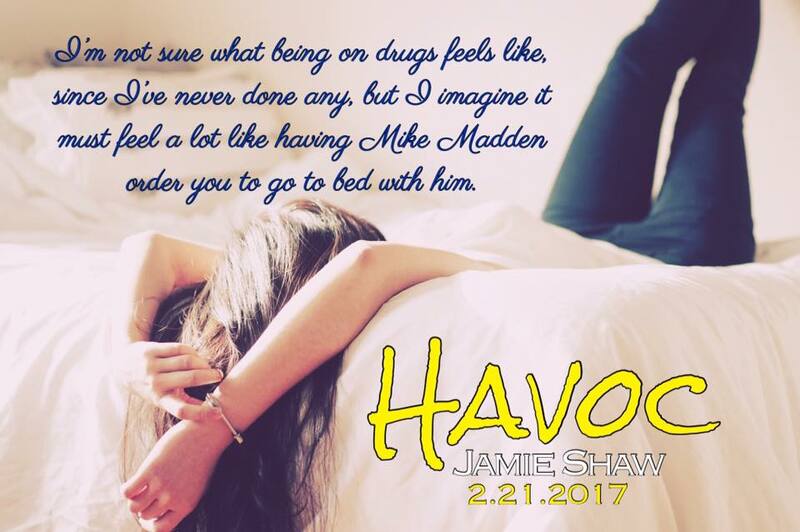 Havoc was A-M-A-Z-I-N-G!!! I can't remember the last time I turned the pages on my Kindle so quickly. The further I got in to the story, the more frantic I became to finish it and see how everything was going to end, but also the sadder I became, because I did not want it to end. The ending was perfect! It made me swoon, and I was blissfully satisfied! As you can see, I became obsessed with Havoc. 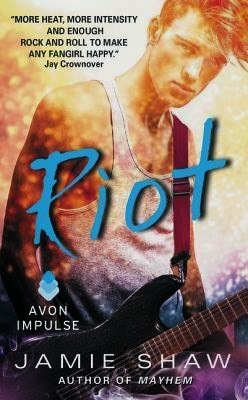 I just can't stop gushing and I know my review is way too long, but I fell in love. I fell in love with Mike. I fell in love with Hailey. I fell in love with them as individuals and as the perfect dream couple. I fell in love all over again with Adam, Ro, Joel, Dee, Shawn, Kit, and the best Fairy Godfriend ever, Leti! 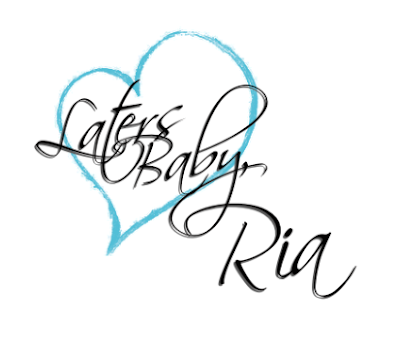 5 I'm Hooked, Cannot Put My Kindle Down, Obsessed, Hot, Romantic, I'm Swooning (Please help me up,) Filled Stars!!! 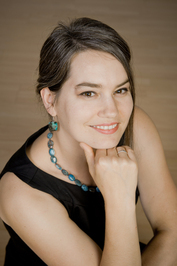 Born and raised in South Central Pennsylvania, JAMIE SHAW earned her M.S. 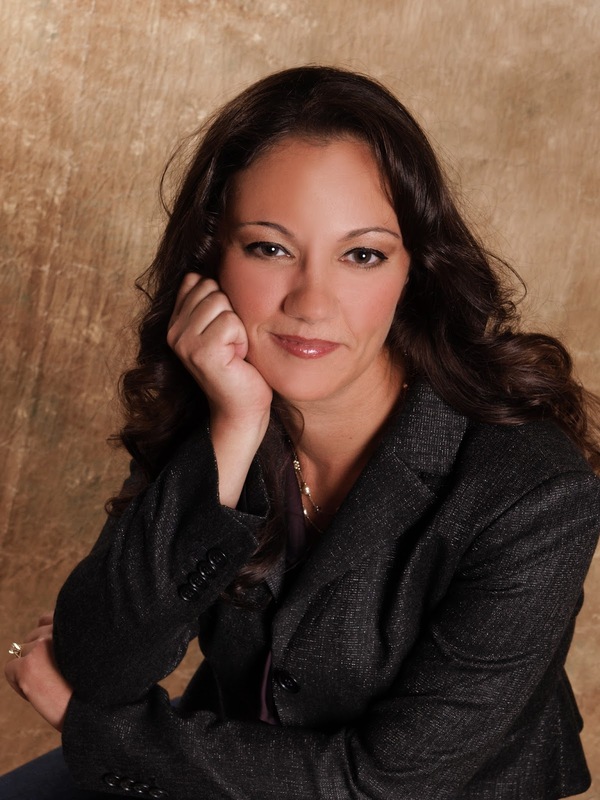 in Professional Writing from Towson University before realizing that the creative side of writing was her calling. 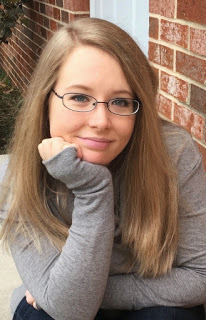 When she's not chasing after her fast-as-lightning one-year-old son, she's crafting novels with relatable heroines and swoon-worthy leading men. She’s a loyal drinker of white chocolate mochas, a fierce defender of emo music, and a passionate enthusiast of all things romance. 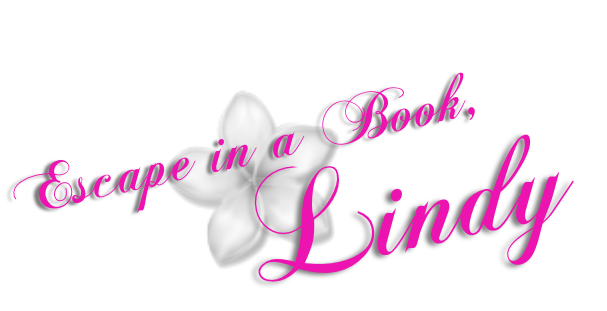 She loves interacting with readers and always aims to add new names to their book-boyfriend lists. After reading the blurb I knew I was in for a treat. There were so many elements to this book I can’t just place it in one genre. There are dystopian, post apocalyptic, paranormal, and fantasy elements to this tale. A disease has nearly wiped the planet the 2% is at the top while the rest figure it out or die. When I say figure it out I mean starve or die from the plague. So yea, situation looks dire. There are divisions and plain ol’ hysteria Dominion is where the story plays out everyone’s existence is bleak. Even the wealthy upper circle people are on borrowed or should I say bought time. This book is constantly going, going somewhere, dropping morsels and revealing questions. Man oh man after that delicious appetizer I’m ready for a meal! I want and need answers. I will definitely keep my eyes peeled for the next installment. Coming out soon! Yay! The Story, as I mentioned before its not looking good for the people of Dominion or the world. People are dying everywhere there are bodies on the floor. There are protocols that everyone follows. 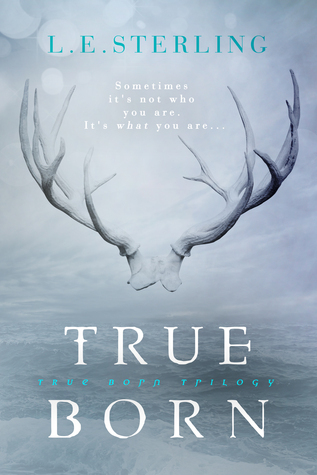 True Born follows Lucy and Margot they are conjoined(by the toe) twin sisters there is something very special about them but no one knows exactly what. A long time ago pollution decimated and practically ruined the planet due to these harsh conditions people started sprouting fins or flat out dying. Lucy and Margot are part of the Upper Circle translation Grade A ARSEHoles with stupid amounts of money and power. They are about to turn 18 and thus put through several blood tests to see if they are either Splicers, Lasters, or True Born. Something is wrong and Lucy feels some impending catastrophe. There are riots and attacks and all the while Lucy is trying to save her sister, figure out what they are, and fighting the feelings that are blossoming between her and Jared. The Characters, I was thoroughly delighted by this cast of characters. Lucy and Margot are surrounded by so many wonderful characters I could not get enough. There were times in the story I felt like storms clan was similar to the x men. Though Margot and Lucy are twins they are very different. Both of them are categorized as good girls who do what they must to uphold the family image. Margot is a charming diplomat that can woe the crowd while Lucy is calculating and protective. Storm is a True Born with way more power than he lets on, he has been hired to protect Lucy and Margot just when you think you’ve figured him out bombs start dropping and so will your jaw. The bad guys are pretty obvious but their moves and motives are not. I loved each character even the bad ones…I just want to know more I need the whos whats and wheres. The End, remember those bombs I told you about? Yep…That happens but seriously Storm reveals some of his cards and Lucy and Margot? Well there is not much that can be done but they sure try. The ending was a little sad but the promise for more is there. I was happy to see certain people get their just desserts. I have my theories as to what secrets lie within Lucy and Margot but I will keep them to my self. I was pretty disappointed in Lucy’s parents though I do love them or should I say love to hate them I really need the why. There are several open ended story lines that I’m very excited about! 4.5 Holy SMOKES! This was a great read! I seriously can’t wait for the next. I have the fever and the only cure is more Lucy, Margot, Jared and Storm! 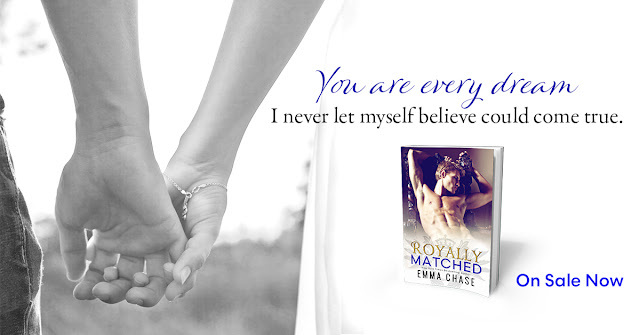 Royalty continues to take over Book Town with Royally Matched by Emma Chase. Prince Nicholas and Olivia stole my heart in Royally Screwed a few months ago. I was excited to learn that Henry was getting his own story. I really liked his character in Royally Screwed and could not wait to see how the Royal Bad Boy would find love. 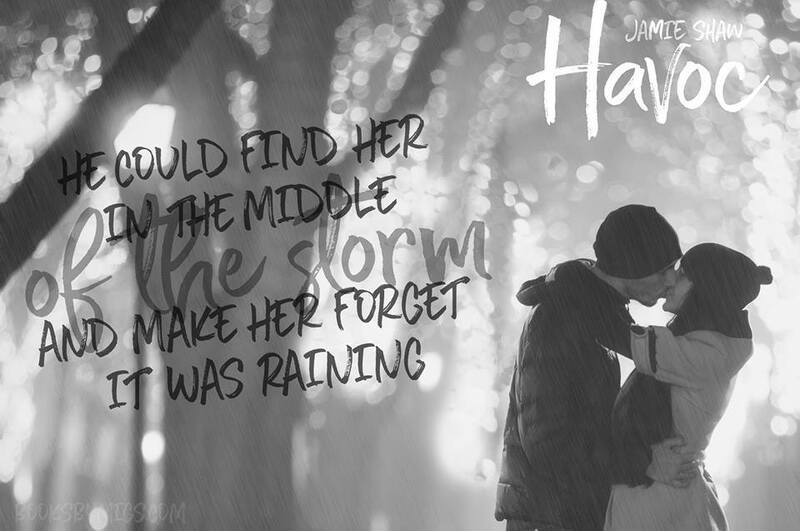 His brother fell hard for his American beauty and I was positive that the heroine that would steal Henry's heart would be as phenomenal as Olivia. Henry Pembrook, Prince of Wessco, has big shoes to fill. His brother, Prince Nicholas, fell in love and is now living a blissful life next to his American Princess. Becoming King was never in Henry's plans. He likes to party hard and Royal duties have never been his forte. The Queen grants him some time away hoping that Henry will find his way back from rock bottom. Henry takes this opportunity to do something wild and crazy. He gets tangled up in a reality show called Matched: Royal Edition. Twenty single blue bloods will fight for his attention and he's ready to party. Everything is going fine until Sarah Von Titebottum enters his life. She's intriguing and a breath of fresh air in his life. She makes him want more. As days go by, Sarah and Henry get closer together. They share unforgettable moments and a love story is born behind the scenes of the reality show. Will Sarah and Prince Henry find their HEA? Once again, Emma Chases' amazing writing style captivated me from page one. Sarah and Henry's love story was entertaining, passionate and a swoon fest that I will never forget! I absolutely loved the connection between them. It was easy to follow their story and this modern day fairy tale gave me all the feels. Their daily talks made me happy and I loved how Sarah came out of her comfort zone with Henry. The supporting cast of characters was AMAZING!! It was lovely to see Nicholas and Olivia again. I really wish that the author would write a story for Fanny and Simon. I love them to pieces and would love to read about their journey together. They are such a fun couple that have always been there for Nicholas and Henry. I'm Royally Obsessed with this series! 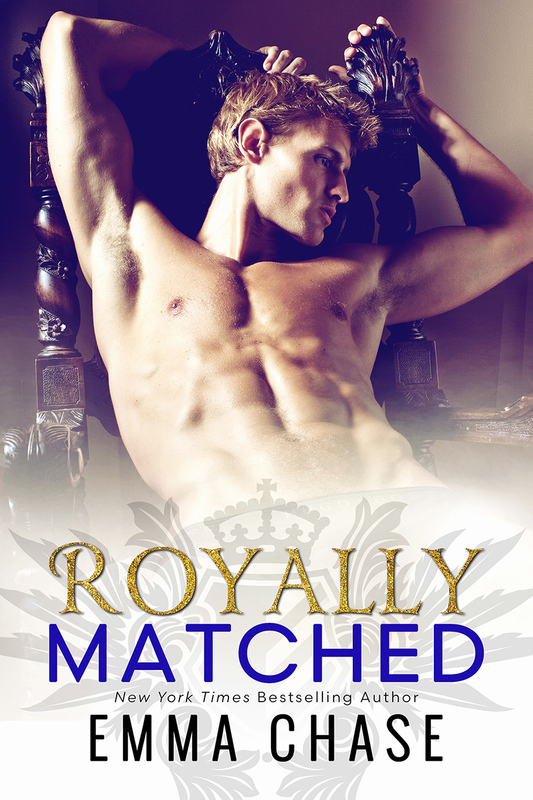 Can't wait for my next amazing reading escape in the Royally Series! 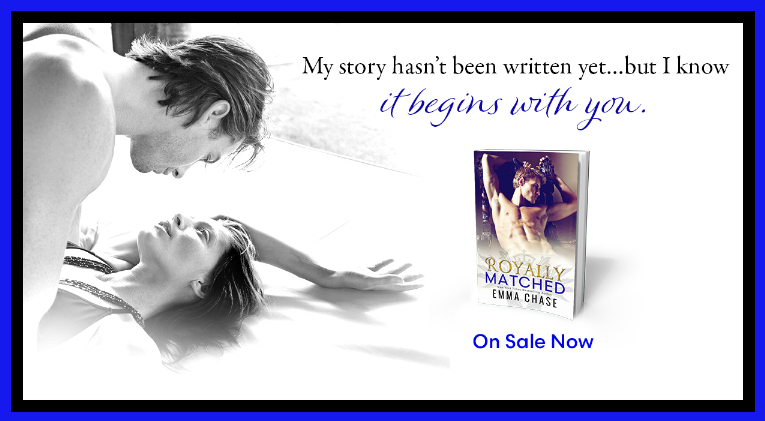 I give, Royally Matched, by Emma Chase, 4.5 swoony, fun, captivating, romance filled stars!